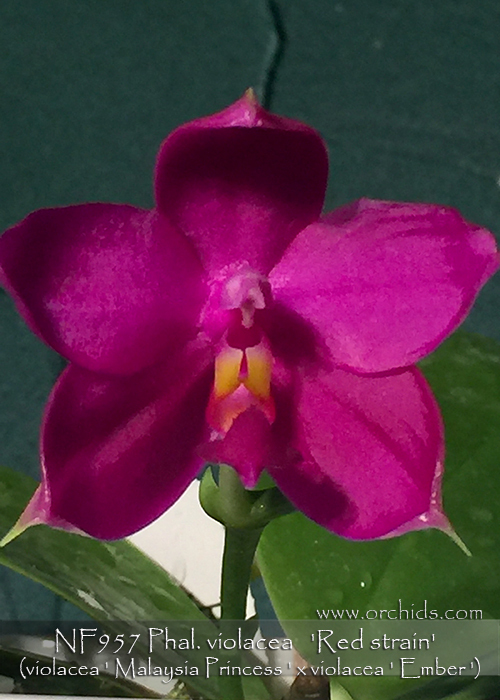 An exciting new color strain of the immensely popular and fragrant Phal. violacea ! This particular strain was created by sibbing two select red forms, “Malaysia Princess” and “Ember”, to produce the next improved generation of solid red Phal. violaceas. Phal. violacea is being heavily used in today’s breeding programs to produce new generations of fragrant novelty Phalaenopsis and, as such, this red color strain is a great addition to any novelty Phalaenopsis breeding program. Very Highly Recommended !